During breast augmentation surgery, incisions are made under the breast (in the inframammary fold) and vessels are cut; the surgeon uses an electrocautery to stop any bleeding. Once vessels are cut, blood can no longer flow through and the blood inside the veins naturally clots, causing a mild local inflammation reaction within the veins. These veins become palpable and visible through the skin, looking like ‘cords’. These care called ‘Mondors Cords’. 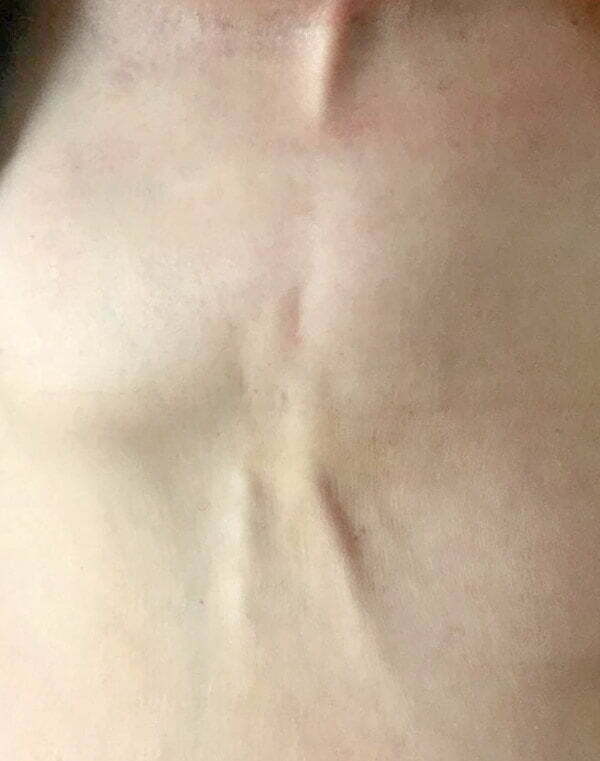 They can occur a couple of weeks after breast augmentation surgery and they look like vertical bands below the breast, running towards the abdomen. They aren’t painful, but can sometimes feel uncomfortable to tender to touch. The cords are harmless and temporary. The clots inside are not the same as the type of blood clots or deep vein thrombosis that can form in the legs or be harmful. What do I do if I have Mondors cords? Contact your surgeon so they are aware of your symptoms; they might ask you to come into the clinic for a review appointment, or if this isn’t possible, send photos of the affected area. Most patients don’t require treatment, but if you have mild discomfort, you might find a mild anti-inflammatory like ibuprofen and heat packs (warm not hot) might be helpful. Eventually the clots break down and are absorbed by the body, and the cords will spontaneously resolve; this can take several weeks to a few months.